It’s immensely irritating when you get a tyre puncture, but if it’s possible to carry out a puncture repair then it works out at a fraction of the cost of a new tyre. At Doncaster Tyres we provide a puncture repair service to get you safely on your way for just one standard fee of £15.00 - this includes the cost of the repair, a new valve, balancing of the wheel and VAT. Not all punctures are repairable and in most cases it will need to be viewed to assess the damage to see if it falls in line with British Standards. 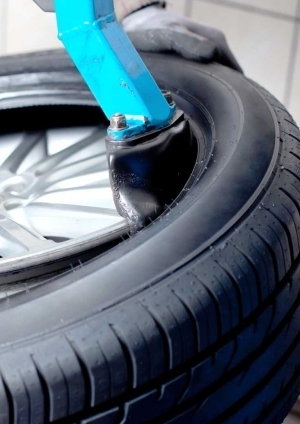 British standard BS AU159 sets out the rules for repairs to car tyres. It defines the type of damage that can be repaired and the way that repairs should be carried out. “One of the most important requirements is that the car tyre has to be removed from the wheel to check for internal damage. If not spotted this could later result in sudden failure. Because of this, externally applied plugs and liquid sealants cannot be thought of as permanent repairs”.